Progress on the Christmas Assissi, slow but progress. 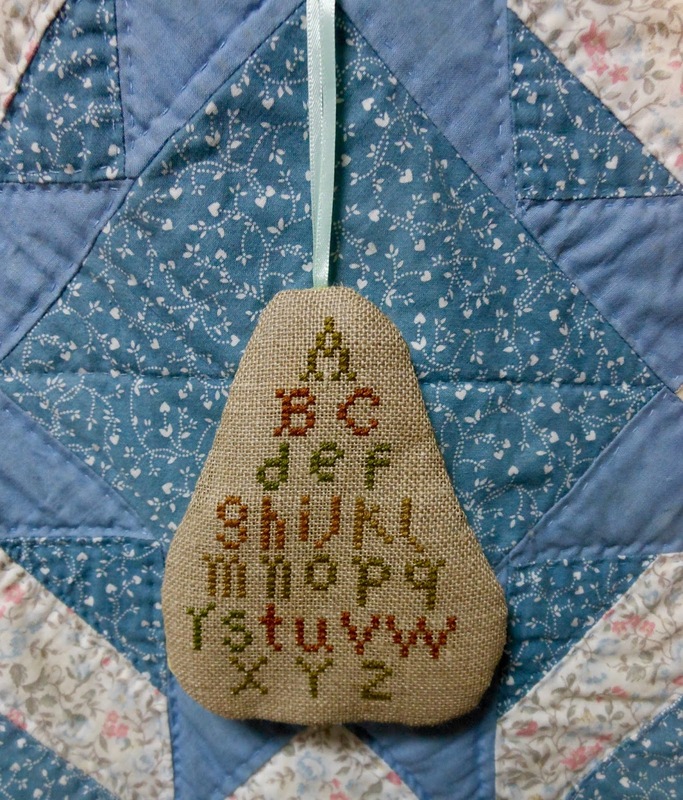 I finish-finished the first of the 12 pears. They've been stitched for quite a while. They are one of my 6 & 6 in 2018 projects so I would really like to finish all of them. I worked on the afghan, then realized the section I stitched in pink should have been white. At first I thought "how did I do that? ", then looked at the symbols. The symbol for white was a little heart and the symbol for pink was a little white square. Doesn't it seem like the heart would be the pink? 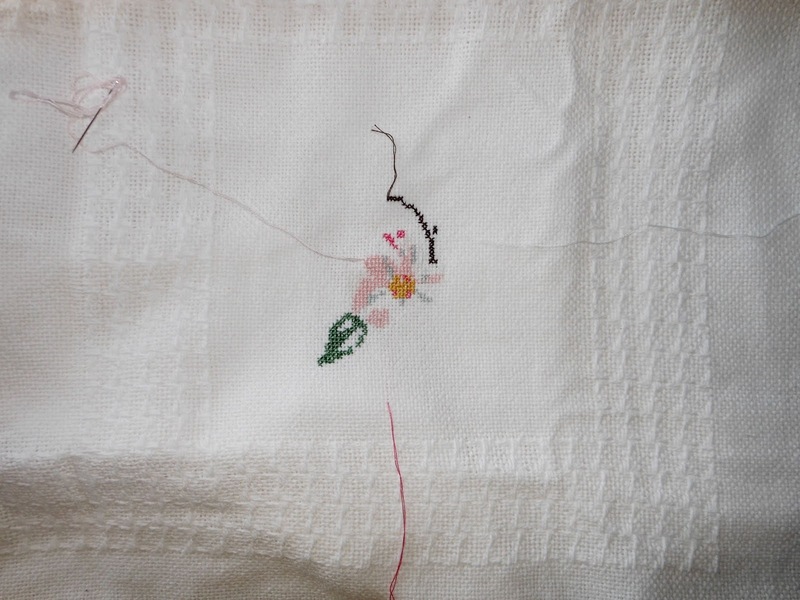 I put it aside until sometime when I feel like unstitching. The dorset buttons were more fun. The one on top is the one I showed last Friday. The next three were also made with #5 perle cotton. The two with red and yellow are made with #8 perle. These are really fun - if you haven't tried making dorset buttons, you really need to! Some symbols are so similar, all too often I have stitched the wrong colour. I love how all these buttons are turning out! It's a shame about the symbols. Pink should certainly be a heart! I can see you got the Dorset bug! There are so many variations you can do. Unpicking is no fun, but it feels good once it is done and you can start stitching again. The pear is decorative, both on front and back. I think you have managed a lot this week. Good progress. Great progress. After adding the backstitching in the letter it looks more attractive. 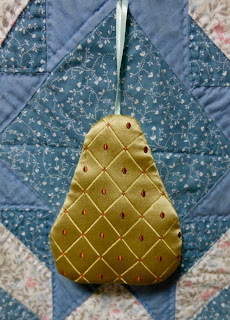 I like backside of the pears more than the front. Buttons are lovely. Beautiful progress, i love the buttons. The buttons are wonderful and beautiful progress. You have a good collection of buttons already. Nice pear finish. 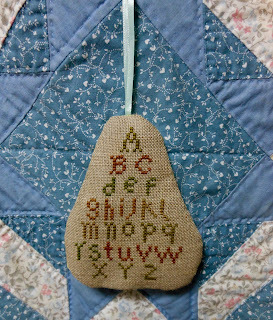 And yes, outlining the letters with back stitch is attractive. You've got a lot done here. Wonderful creations happening at your place , the buttons are great. Pamela you have such amazing skills... the dorset buttons are beautiful, you're so clever! These buttons really look like a lot of fun. Wow, I love the back of your pear! What kind of fabric is it? Did it come like this or did you have to do anything to it? Love all your progress. The symbols for the afghan really seem stupid; I once had similar problems with a chart where the symbol for 'white' was a solid black square - who thinks that's a good idea?! i love the Assissi work, I should really try that. 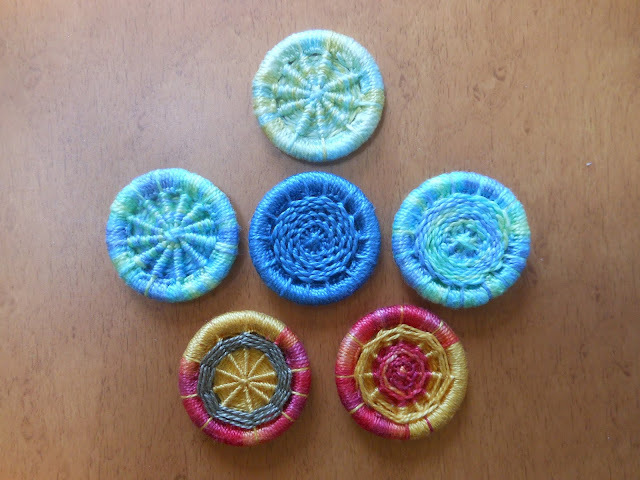 As for Dorset buttons, they look great, but I could see me getting a bit addicted to making them!